Carl “Fred” Deuser, 79, of Central, died Thursday, November 22, 2018, at University of Kentucky Medical Center in Lexington, Kentucky. He was born May 1, 1939, in Louisville, Kentucky, to the late George and Sybil Becker Deuser. 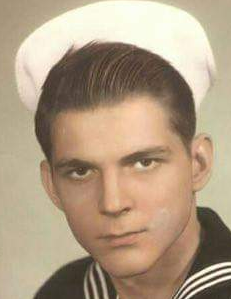 He was a retired U. S. Navy veteran of the Vietnam War and was a retired maintenance supervisor at TARC in Louisville. He was preceded in death by his parents and his wives, Carolyne Ann White Deuser and Gloria Hourton Deuser. Survivors include his wife, Gayle I. Breese Deuser; his sons, Kenneth Deuser (Patsy), Fred Deuser(Janet), and Scott Deuser (Tina); his daughters, Tamra Kamer (David), Kim Helm (Jessie Walters), Sandy Dean (Robin), Patti Wilson (Judd Pierce), Cheri Webster (Kevin), and Katy Keith (Eric); his stepsons, Bobby Cockerell (Dixie) and James Cockerell (Jamie), Charles Pyron (Kathy), David Pyron, and James Pyron (Linda); his stepdaughters, Debra Cochran (Don) and Diamond Bartlett (George); his brothers, Malcolm Deuser and Todd Deuser (Wanda); his sister, Sydney Sullivan; and numerous grandchildren, great grandchildren, and great great grandchildren. Funeral services will be 2:00 p.m. Tuesday, November 27, 2018, at Beanblossom-Cesar Funeral Home in Corydon. Pastor Frank Pendleton will officiate. Burial will be in Gethsemane Cemetery near Corydon. Visitation will be after 11:00 a.m. on Tuesday at the funeral home. The family requests that expressions of sympathy be made to Woodstock Animal Foundation, 843 Lane Allen Road, Lexington, KY 40503. Pallbearers will be Bobby Cockerell, Robbie and Brent Helm, Keith Deuser, Scott Dean, and Nick Keith.